The basis of the now world-famous automobile corporation "Nissan" was "Nishon Sangyo" from Yokohama - one of the Japanese cartels created in the early 30s, designed to unite the disparate forces of small firms. Initially, he was engaged in the manufacture of chemical products, foundry production and construction. On December 26, 1934, he joined the metallurgical company Tobata (Tobata), and also received the firm DAT Jidosha Seizo, which produced passenger cars and pick-up trucks of the Datsun brand. The new cartel was renamed to Nissan Jidosha Kaisha and started production of Nissan cars, which was a reduction of its former full name. Since 1937, a 1.5-ton Nissan-80 truck has been produced in the classic configuration with a 6-cylinder engine (3.7 liters, 69 hp). Since 1941, his 2,5-ton version of the Nissan-180 has entered the Japanese army. In November 1945, the production of models was resumed, but already for American occupation units. In 1946-53, the production of upgraded pre-war pick-ups "Datsan-1121" and "3135" was continued. When delivered for export, they were offered under the brand name "Nissan". Further development of the company "Nissan" was associated with the organization of mass production of cars. 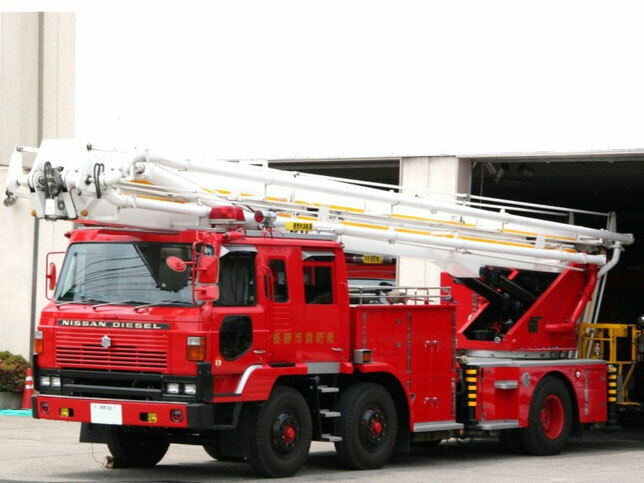 Gradually, trucks became secondary products. 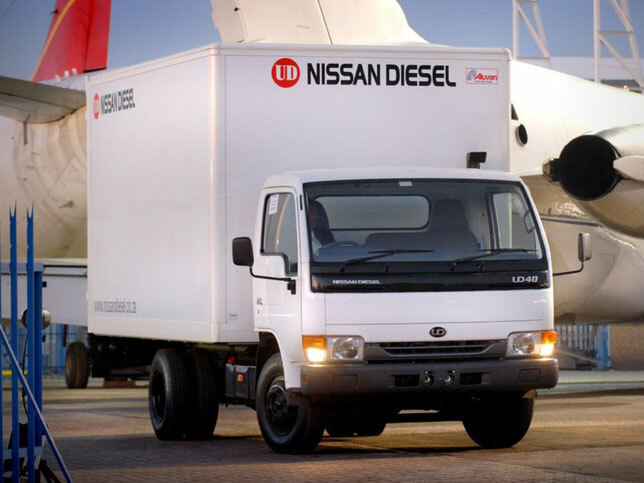 Eventually, the company turned into a major manufacturer of pickup trucks and small delivery cars, giving care for the creation of the remaining trucks to its Nissan Diesel unit. Since the 1950s, Nissan's important activity has been the production of pick-up trucks based on Datsan cars, as well as 1-ton vehicles on the 4x4 patrol all-wheel-drive chassis. 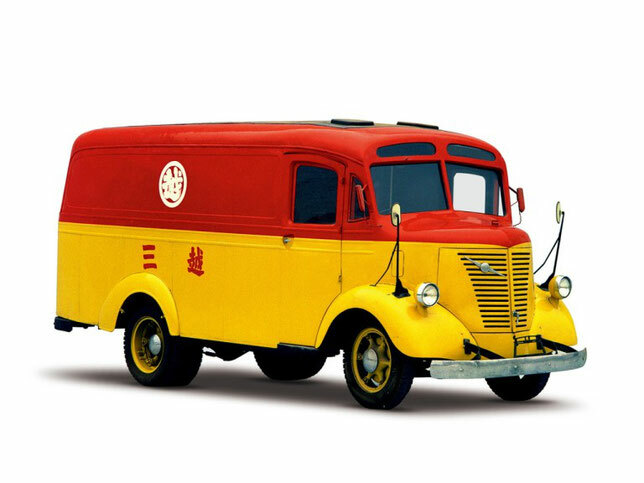 At the end of the 1950s, Nissan's cargo program was based on numerous variants of the Junior series of trucks with all-metal bodies with a carrying capacity of 1.2-2 tons (gross weight - up to 4 tons), also known as Cablight ) And "Caball" (Caball). They were offered in bonnet or bonnet versions with 4-cylinder gasoline engines (988-1489 cm3, 34-57 hp), 4-speed gearbox and spring suspension. 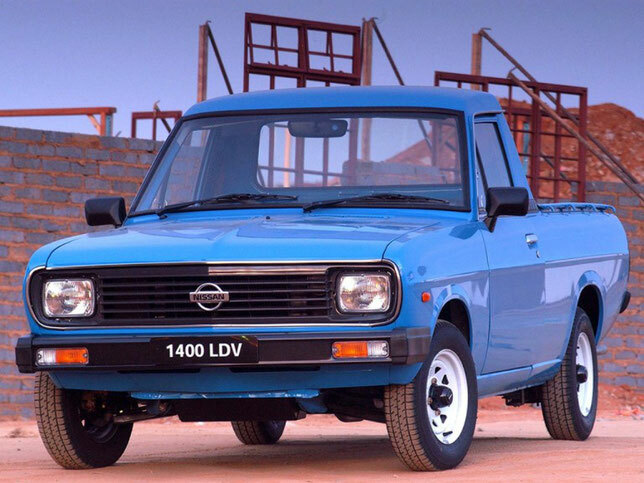 Under the brand name "Nissan" continued small-scale production of 5 and 6 ton trucks "M-582" and "G-680" with a 4-cylinder diesel engine (5.8 liters, 110 hp) and 6- Cylinder petrol engine in 125 "horses". 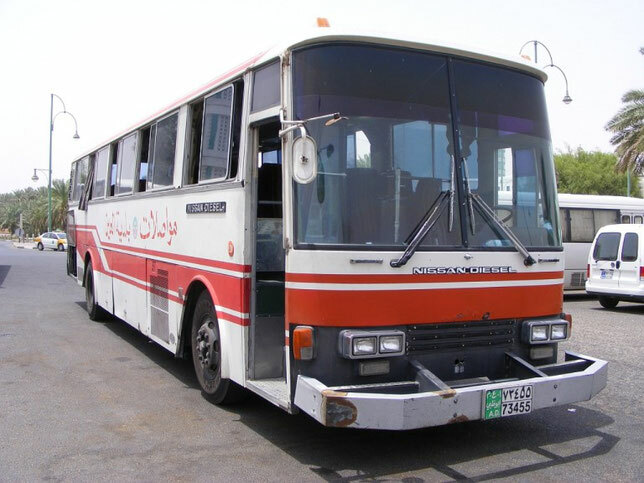 The last model was also equipped with a 3-cylinder 2-stroke diesel engine from the company "Minsei" (Minsei), which in 1960 became the cargo compartment of Nissan Diesel. Since December 1957, the assembly of Nissan cars for the first time began abroad - on the Taiwanese firm "Yu Lung" (Yue Loong) from Taipei. In the 60s, Nissan significantly strengthened its position by acquiring a number of other Japanese car companies. 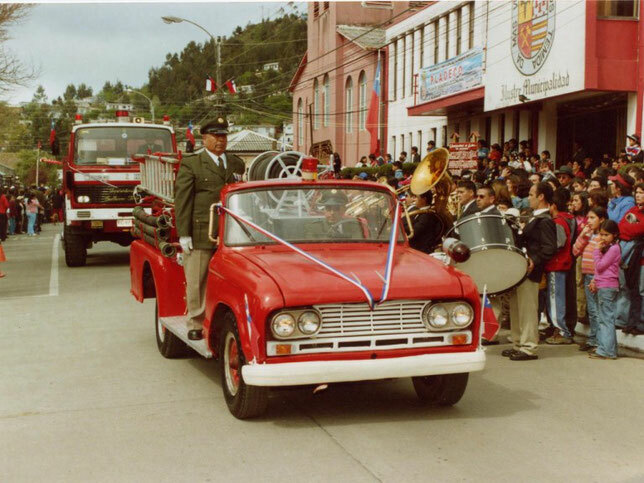 The program of light trucks included an updated series of "Junior" with a 2-liter gasoline engine in 92 hp, as well as new trucks "Echo" and "Clipper" (Clipper) with a total mass of 2.4-6.5 Tons. 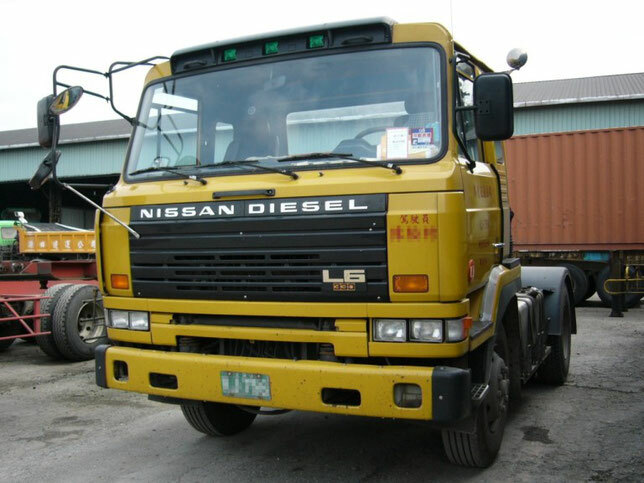 First they were collected at the former firm Kurogane (Kurogane), and then handed over to the Nissan Diesel unit. By 1969, the total production of pickups reached 1 million units. In 1973, on the basis of the "Junior" series, a new boneless range was created, "Cabstar" (Cabstar), which was initially offered under the Datsan brand. 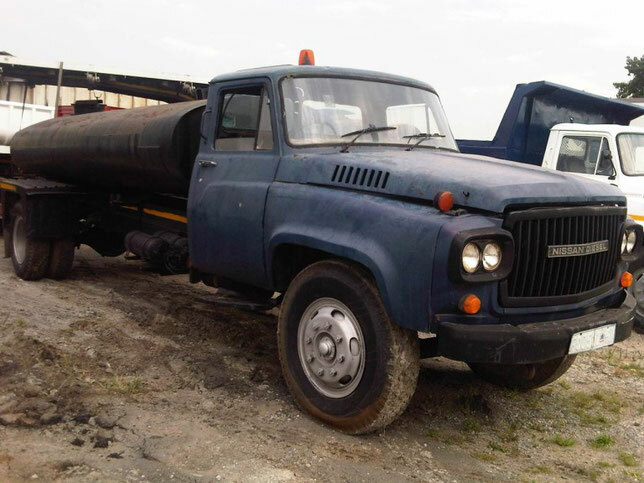 In 1975, the production of half-hooded trucks "Homer" (Homer) began on the cab "Caball", which served as a prototype of the future Atlas series. In 1977, the first van appeared on the chassis "Sunny" (Sunny), which later became one of the most popular in the countries of Asia. 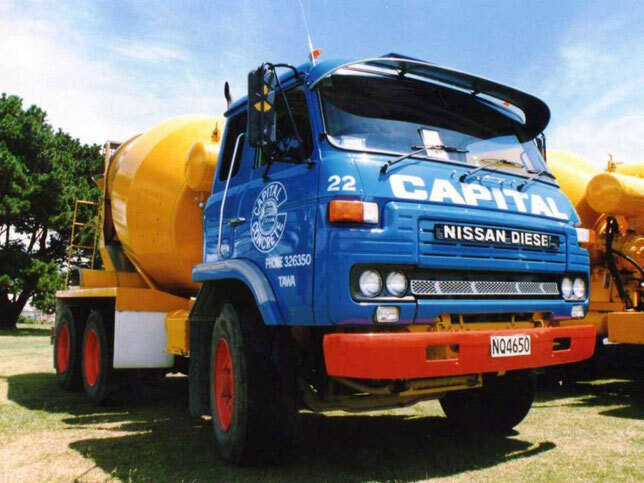 The program was completed by the last ordinary truck Nissan - 4,5-tonne hood model "G-780". In those years, the assembly of such machines was established in Thailand, Malaysia, India, Mexico, Taiwan and the Philippines. 1980 was marked by the creation of a new series of light wagons "Urvan" (Urvan) with a total mass of 2.8 tons, which in Japan was called "Homy." They were offered in various designs with a wheelbase of 2375 and 2645 mm., 4-cylinder petrol and diesel engines (2-2.5 liters, 75-101 hp), 4 or 5-speed gearbox , Front disc brakes and an independent torsion suspension by the load sender. Five years later, a lightweight Vanette van range of about 2 tons in weight and a wheelbase of 2,150 millimeters, powered by 1.2-2 liter engines (52-70 hp), appeared. Since 1985, a new generation of pickups, uncomplicatedly called "Pick-up" (Pickup), was produced. 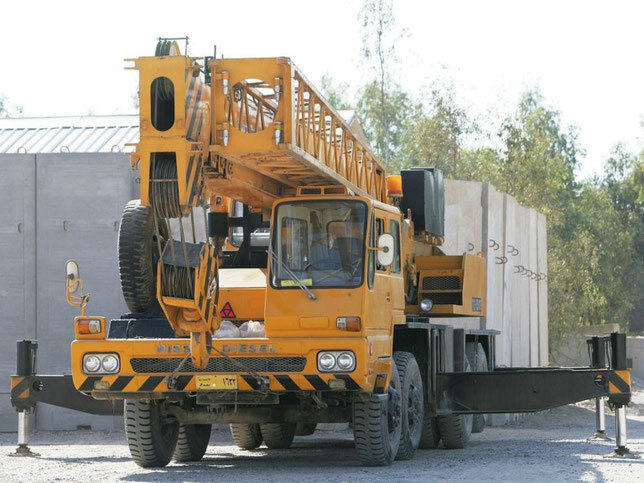 They were offered in 4 × 2 or 4 × 4 versions with three types of cabs and different power units. 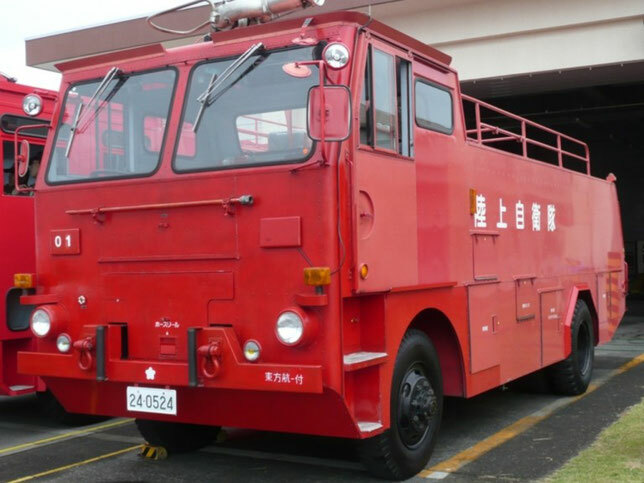 Finally, in September 1987, the Cabstar series appeared with a total mass of 3.5 tons, known in Japan as Atlas. It used gasoline and diesel engines (2-2.7 liters, 75-90 hp), 5-speed gearbox and spring suspension. In addition to the introduction of numerous technical innovations, in the 80s, Nissan achieved great success in foreign markets. In 1987, he managed to firmly establish himself in Western Europe, becoming the full owner of the Spanish firm Ebro and turning it into his subsidiary Nissan Motor Iberica. At first, the assembly of the Vanett series was moved there, and then we established a practically independent production of new light vans and a series of trucks. 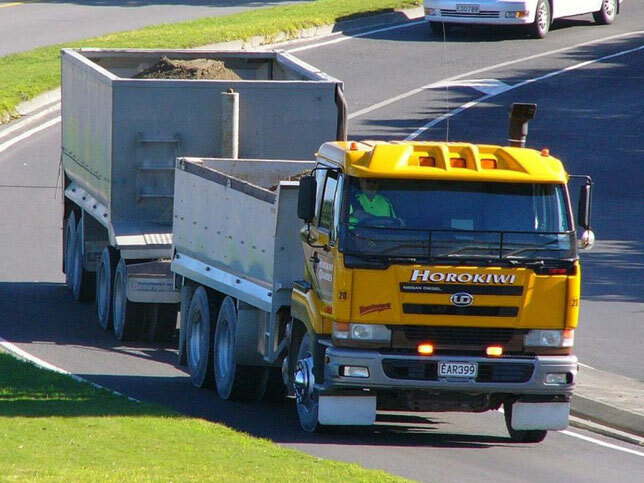 In the US, pick-up trucks were organized in 1983, in New Zealand - in 1986. 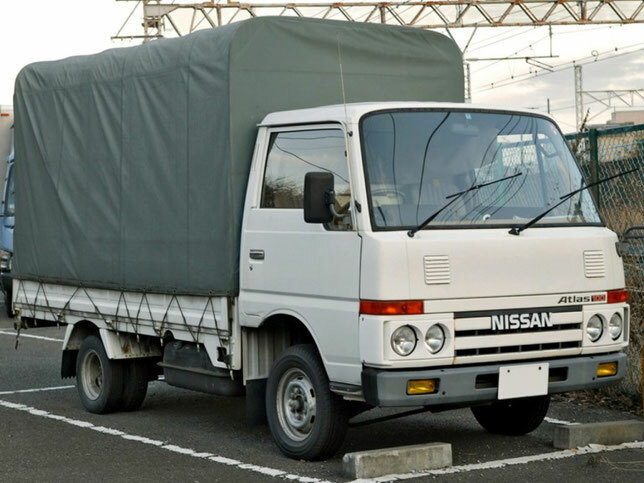 In the 90 years in the cargo program of the main enterprise "Nissan" in the town of Fukuoka there were only pick-up trucks and delivery vans. On the chassis "Sunny" continues to produce a light van with a capacity of 2.8 m3 and a carrying capacity of 590 kg., Known in various countries as "Cubic" (Q-bic or Cubic). In 1993 he was awarded the title of "van of the year". 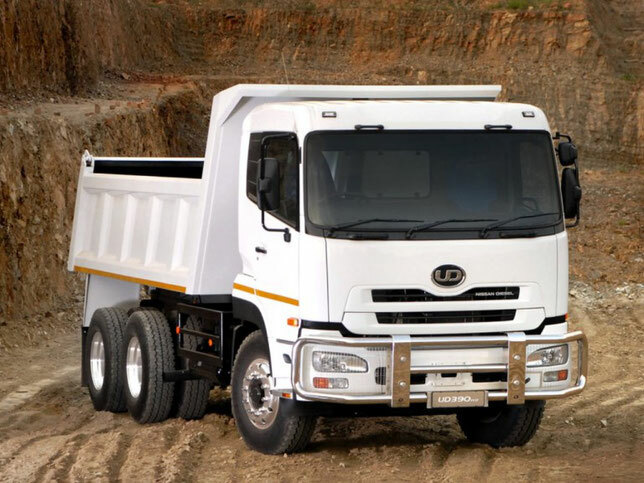 An extensive range of pickup trucks with a payload of 1-1.2 tons is offered with various engines with a power of 76-125 hp, a mechanical 5-speed gearbox, a front independent suspension and disc brakes with ABS. They are equipped with three types of cabins: a standard 3-seater, an elongated 4-seat King Cab and a double Double Cab for 5-6 seats. The maximum speed reaches 150 km / h. For export to the US they are equipped with a 3-liter V6 gasoline engine in 155 "horses". 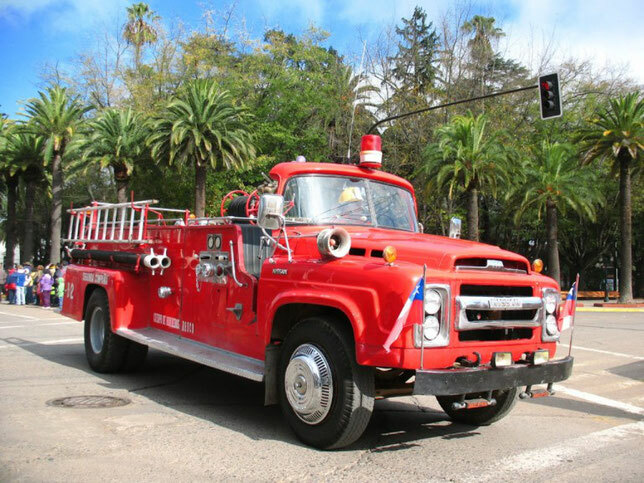 The American branch produces such a truck called "Truck" with a 4-cylinder petrol engine with fuel injection (134 hp), an automatic 4-speed box, power steering, ABS and airbags. Since 1998, the appearance of all pickups has been changed. Countless variants of the van "Urwen" with bodies with a capacity of 5.8-8.5 mz allow carrying cargo weighing 600-1250 kg. Or up to 15 passengers. The basic are a 4-cylinder petrol engine (1952 cm3, 87 hp) and a 2.5-liter diesel engine of 80 horsepower. For the local market, its analog "Caravan" (Caravan) is offered with a diesel engine (3.2 liters, 100 hp). The maximum speed is 130-135 km / h. Since 1999, the program has again included light vans and all-metal pick-ups "Vanett" with a wheelbase of 2220 mm., Similar to Mitsubishi Delica cars and known in other countries as "L300". They have a total mass of 2.2-2.6 tons, engines with a power of 79-90 hp, a manual or automatic transmission. 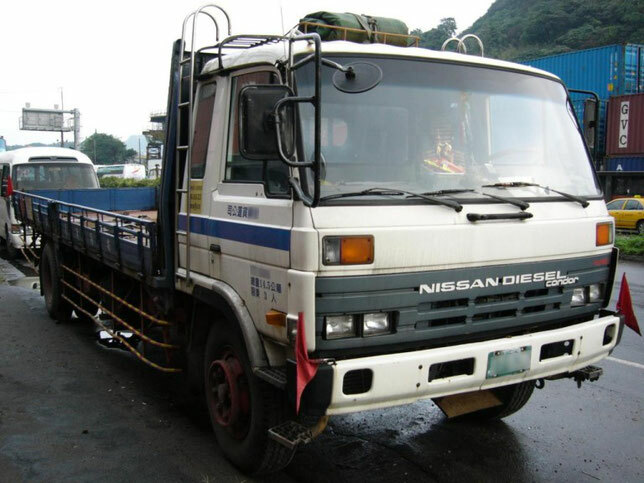 The modern program of Nissan trucks is completed by the Atlas series with a gross mass of 3.1-6.7 tons, which is offered with five engines (105-155 hp), a manual or automatic transmission, with several sizes of cabs and Wheelbase (2515-3365 mm.). Light vans and pickups of the Nissan brand are also produced on the basis of passenger cars Cedric, Gloria, Avenir, Primera and all-wheel drive Patrol chassis known in the world. Japan as "Safari". In the late 90's. The position of the company "Nissan" was shaken. March 27, 1999, 36.8% of its shares were sold to the French concern Renault (Renault). In 2002, Carlos Ghosn hit analysts with a statement that the results of the announced plan for the revival of Nissan achieved a year ahead of schedule. For the next 3 years, a plan called "Nissan 180" is planned. The company Nissan opens its new headquarters near Paris. The new company is named "Nissan Europe SAS". Thanks to the Nissan Renaissance Plan, confident steps were taken to increase the attractiveness and competitiveness of products, while reducing costs and arrears. For the next 3 years, a plan called Nissan 180 is planned, which was aimed at achieving an additional sales volume of 1 million vehicles worldwide for 3 years, achieving 8% operating profit and zero automobile debt. The company Nissan opens its new headquarters near Paris. The new company is named "Nissan Europe SAS". In 2003, Carlos Ghosn hit analysts with a statement that the results of the announced NRP plan were achieved one year ahead of schedule. Thanks to the Nissan Renaissance Plan, confident steps were taken to increase the attractiveness and competitiveness of products, while reducing costs and arrears. For the next 3 years, a plan called Nissan 180 is planned, which was aimed at achieving an additional sales volume of 1 million vehicles worldwide for 3 years, achieving 8% operating profit and zero automobile debt. The company Nissan opens its new headquarters near Paris. The new company is named Nissan Europe SAS. Fiscal year 2003, Nissan ends with an operating profit of 6.29 billion euros and 11.1% revenue, reaffirming the level of the company as one of the most profitable automotive manufacturers in the world. At the end of April 2004, a new three-year business plan for Nissan Value-up (Nissan: Value Enhancement) was announced, which came into force in April 2005.